I’ve been reading lots of books in the emerging genre of future environmental/societal/economic scenarios. These books are both calls for action and roadmaps into the uncharted wilderness of tomorrow. It’s much to early to predict which path our society will follow, but I can safely make the case that there won’t be just one scenario in play, but that hyper-locality will create a mosaic of best to worst cases (in fact we already live in such a world). So here is an introduction to the best and the worst of what the future may hold for humanity. Scenario planning isn’t that new, governments and business have been using this process for decades. 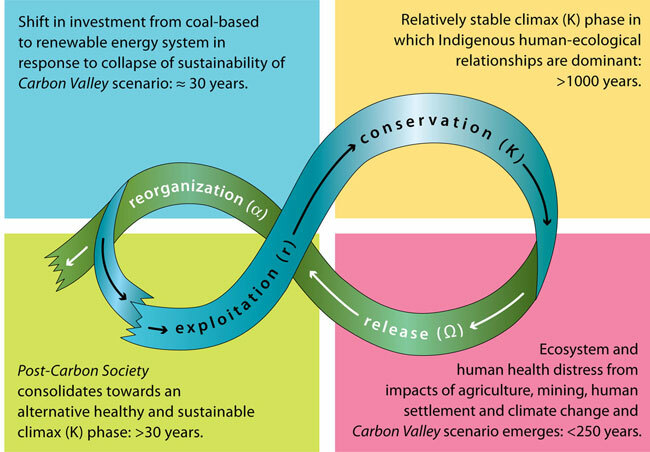 The UN seems to excel at generating scenarios, with the IPCC and the Millennium Ecosystem Assessment laying out the foundations for most of the compelling environmental, population, economic, and energy futures. 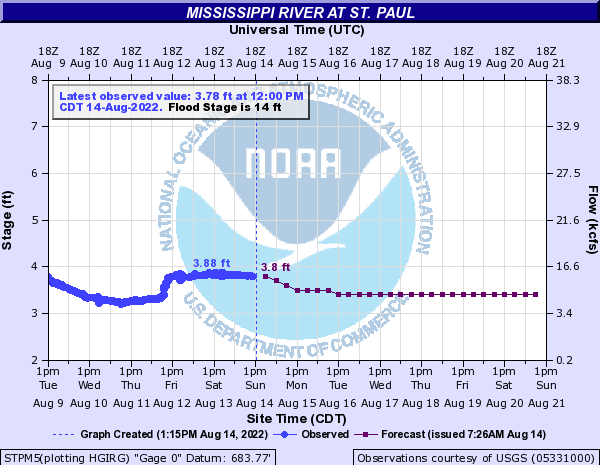 Predictions across the Upper Midwest are calling for perhaps-record floods in all of our rivers. What impacts are the floods having, and what might be the long term effects of the rising waters? What do government agencies and river organizations think? What are the experiences of local citizens as well as policy makers? The University of Minnesota’s River Life Partnership has put together a multi-platform digital flood forum, where we are gathering information, diverse perspectives, and considerations from across the state and region. Follow River Life on Facebook and Twitter, and share your thoughts, photographs, and links to more information. Read the River Talk blog http://blog.lib.umn.edu/ione/rivertalk for more analytical, thought-provoking commentaries. Follow the links to sites maintained by government agencies, reliable news organizations, and academic/educational institutions as they have all initiated their own flood coverage. Check the River Atlas at www.environment.umn.edu/atlas to see historic photographs, documents, and other interesting stuff. We intend for these platforms to be as interactive as possible, so email us at rlp@umn.edu to make suggestions, add comments, and recommend additional sources and leads. If you would, please do forward this message to others who would be interested as well. And of course, join the discussions through the River Life Facebook and Twitter connections. 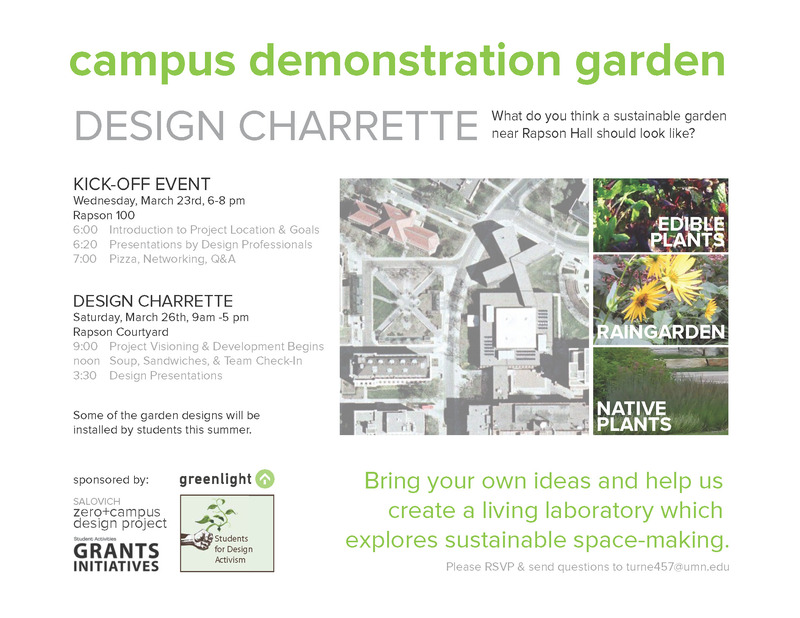 This is event is part of the student outreach efforts of the Zero Plus Campus Project in association with Greenlight and Students for Design Activism that our research assistants, Elizabeth Turner and Derek Schilling have spearheaded.